It might seem a little strange to visit a cemetery when traveling but sometimes you can learn a lot about a place, its history and people. Concordia Cemetery in El Paso is just such a place. 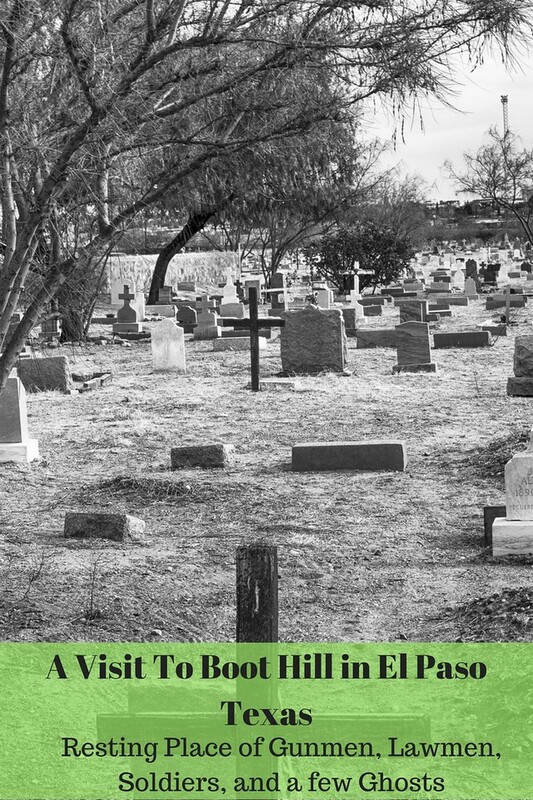 Known as El Paso’s Boot Hill, the cemetery was once known as Rancho Concordia and owned by Hugh and Juana Stephenson. The ranch included a chapel and a cemetery and when Juana met her demise in 1856, from being gored by a pet deer, she became the first resident. Since then over 60,000 people have been buried in Concordia. Concordia tells the history of the city and the old west and if you listen real hard, you can hear the stories of those who are buried here. 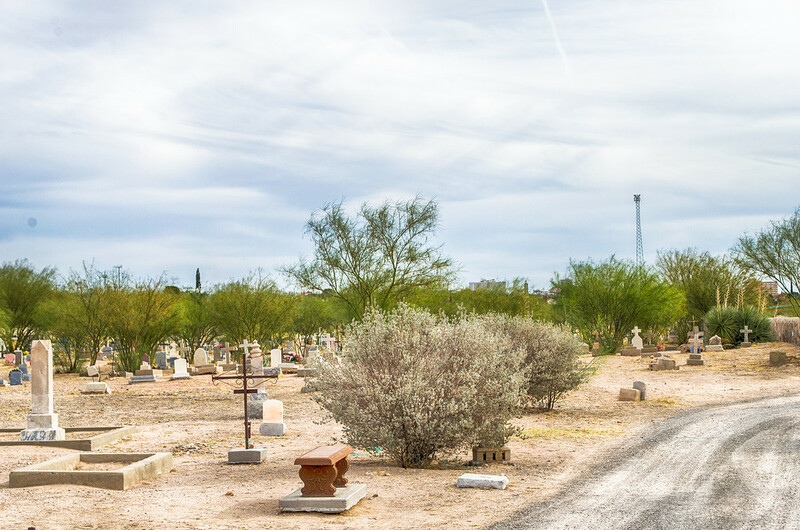 The Paso Del Norte Paranormal Society operates ghost tours in the cemetery where some say the cemetery is haunted and even claim to have captured photographic evidence of spirits. One of the spirits is an African American woman believed to be Florida Wolfe. Known as “Lady Flo” the socialite and rancher died of tuberculosis in 1913 and is among those buried here. 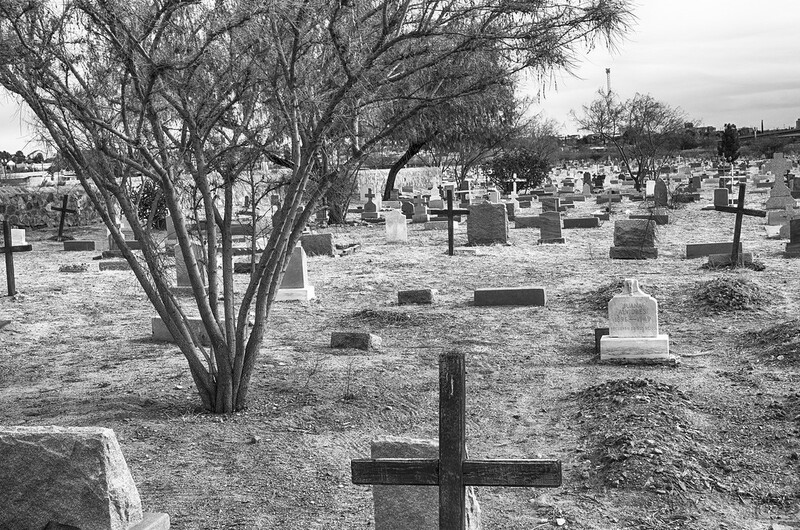 In 1882 the city of El Paso bought part of the cemetery as a burial ground for paupers and soon other groups started buying part of the cemetery and sectioning it off. Today there are sections for Jesuit, Catholic, Mormon, Military, Children and Texas only Chinese cemetery. Chinese came to El Paso as railroad workers and some stayed helping build the area and in some cases marrying Mexican women so you will find a few names such as Maria Wong and Carlos Chio. 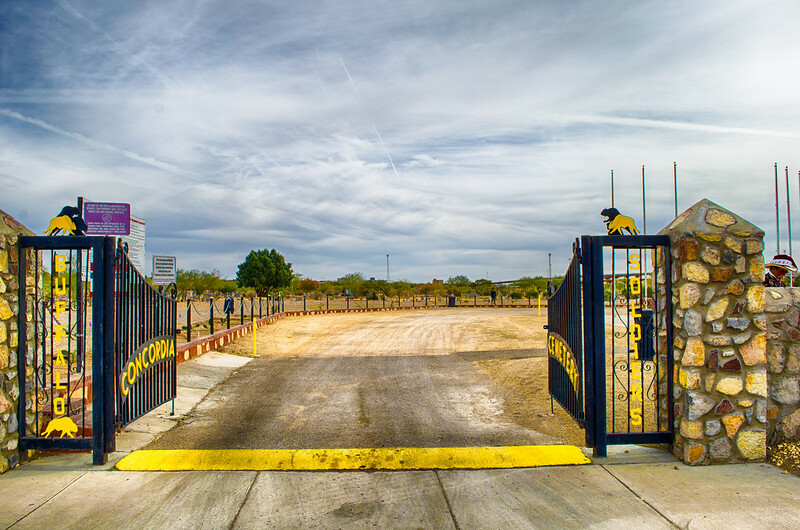 While nearby Ft Bliss has a large military cemetery, there are also military buried at Concordia. Veterans from the Civil War both the Confederacy and The Grand Army of the Republic along with US Cavalry, WW1 and WW2, Korea and Vietnam are all buried here. 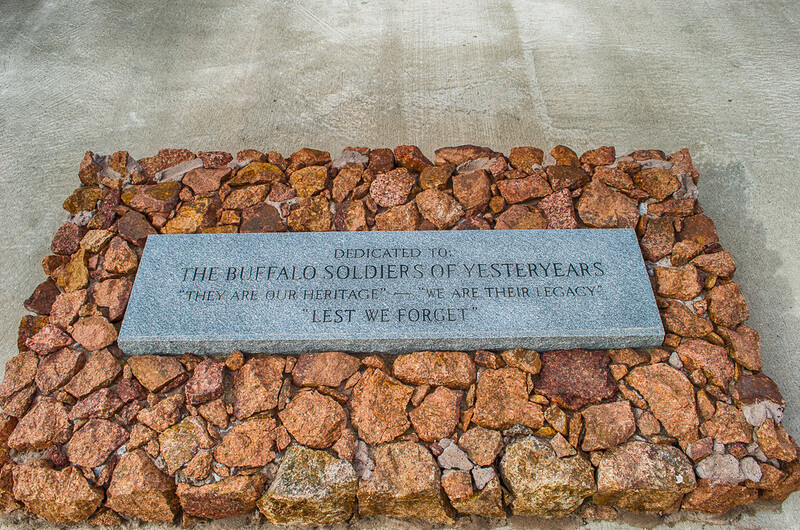 Of the military, there are over 40 Buffalo Soldiers buried at Concordia cemetery. The Buffalo soldier was the nickname given to the black soldiers of the 10th Cavalry and later the 9th Cavalry, 24th and 25th Infantry Regiments by Native American tribes. Concordia cemetery is also the resting place of lawmen, Texas Rangers and Moses Carson the younger brother of scout Kit Carson. Pascual Orozco, a leader of the Mexican revolution was temporarily buried in Concordia as well. By far the most famous or infamous resident of Concordia is John Wesley Hardin. Born in Bonham Texas in 1853, Hardin seemed to be in trouble with the law most of his life. Born to a Methodist preacher, Hardin killed his first man when he was only 15 years old. Hardin was a cowboy, gunslinger, poker player and later in life a lawyer. In 1871, awaken from a drunken stupor, Hardin fired several shots through a wall in an attempt to wake up a snoring man in the adjacent room. One of the bullets struck the man and killed him. In 1871 Hardin was arrested for the murder of Waco City Marshall, Laban John Hoffman but later escaped custody. In 1874 Hardin killed Brown County Texas Deputy Sheriff Charles Webb after Webb tried to arrest him in a saloon. In 1877 Hardin was tracked to Pensacola Florida by Texas Rangers where he was finally arrested and was sentenced to 25 years in prison. While in prison he studied law and after being pardoned in 1894 passed the bar. Hardin relocated to El Paso and when not playing cards worked as an attorney. Known as a crack shot, Hardin would often shoot a business card then sign it for people wanting his autograph. Hardin claimed to have killed 42 men but most accounts say it was more like 27, still a pretty prolific gunman. 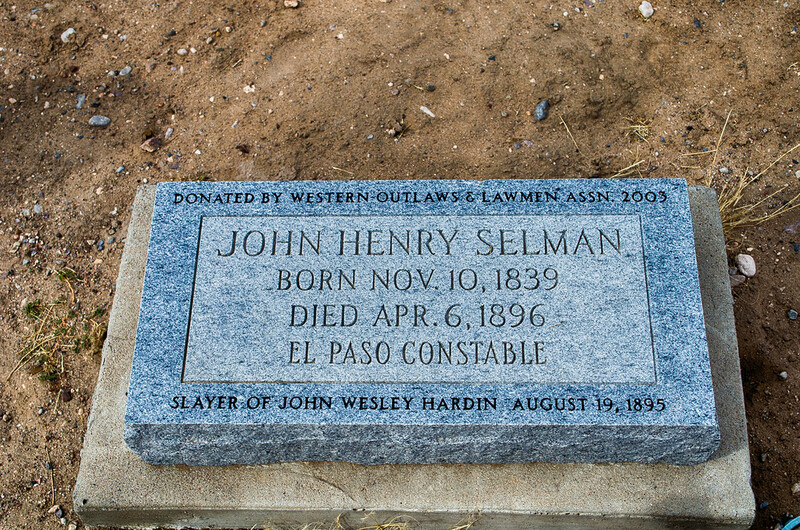 In 1895, after an argument over the arrest of a friend of Hardin’s for brandishing a gun in public, Hardin pistol whipped El Paso lawman John Selman Jr. Later that afternoon Constable John Selman Sr, himself a former notorious gunman walked into a saloon where Hardin was playing cards and shot him in the back of the head and then shot him three more times. Selman’s trial resulted in a hung jury and before he could be retried Selman was killed in a shootout with US Marshal George Scarborough over an argument about a card game. Card games where no joke in the old west. 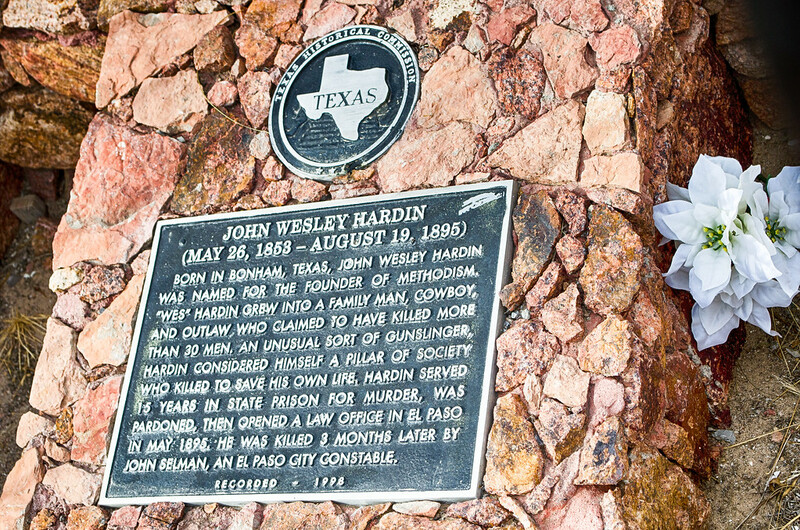 Today the grave of John Wesley Hardin is marked with a Texas State Historical Marker and is fenced and secured by a lock since people in the past have wanted souvenirs. The grave of John Selman is located nearby. 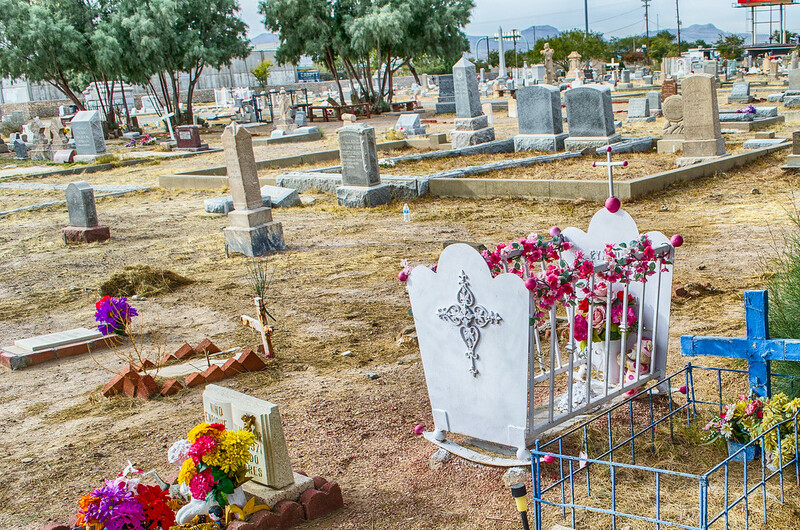 Another section of Concordia Cemetery is the children’s section where grave sites are marked by cribs and some adorned with dolls. According to local paranormal experts the children’s section is one of the more haunted areas of the cemetery. 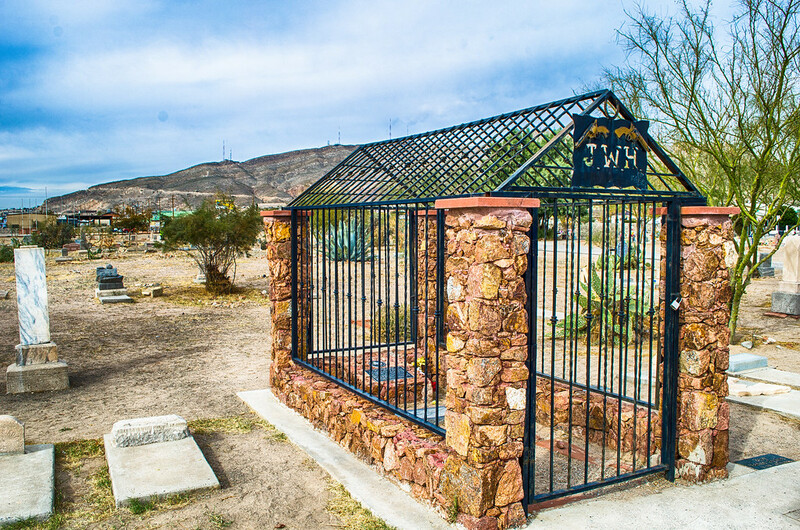 Concordia Cemetery is home to those that made El Paso and Texas old west. From gunman to lawmen, military, immigrants, paupers, children, the famous and infamous, you can hear their stories if you listen. Disclaimer: Visit El Paso has paid my expenses to visit El Paso Texas. 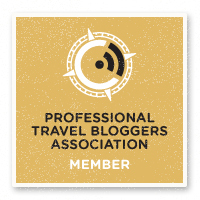 The point of the trip is to bring experienced bloggers and communicators to El Paso to talk about what we see. No one has told me what to write or how I cover the activities and places I visited. Not strange at all to visit cemeteries during travels, especially historical ones. My kids will tell you, I’ve hauled them around to numerous cemeteries all over the US to Scotland. It may be heavy, but there is a lot to learn. I would definitely visit this one the next time I am in El Paso. 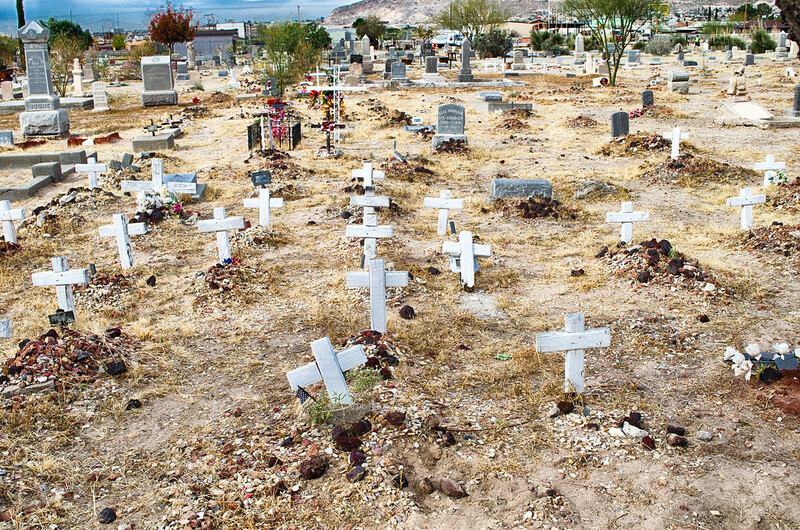 I’m so sorry to have missed the cemetery when I was in El Paso. Fascinating stuff here. Loved reading about Harding and those baby gravesites tweaked my heart. I enjoy visiting cemeteries when I travel as well. me too, I can always learn about a place by visiting the markets and the cemeteries. My wife and I entered the cemetery the day before Halloween, 1990. We had only gone a very short distance when we saw dead animals on some of the tombstones. It was unsettling to say the least. We left immediately. I would like to go through the cemetery, but it certainly would be on a different day. One of the locals told us that it was related to some sort of voodoo. It is a really neat cemetery with a lot of history. I’ve spent countless hours documenting and photographing grave sites at Concordia. It’s a wonderful Cemetery with a wealth of historical stories to tell. One of projects I conducted was to locate and document all the Veteran’s buried in Concordia. Currently, I’ve managed to document around 272 Concordia Veterans. It’s a ongoing project so I suspect the number to climb. Newspaper accounts of the time state that John Selman’s grave site was in Concordia Catholic section. Most likely the American Catholic section. His current marker is located pretty much in the center of the Protestant Section. Specifically, Tier 7, Lot 23, Grave 11. Concordia’s burial records indicate that this gravesite belongs to a Virginia Steinborn who was killed in an automobile accident in 1933. To be best of my knowledge burial records for Catholic burials before 1911 have not been found. The white crosses that represent the “children’s burial nursery” were placed there in sometime in the past 20 years without regard to any specific burial. Sometimes they are referenced as Spanish Flu victims of 1919 (or there about). The problem being is up until the early 1960s it was a roadway separating Tiers 1 and 2..
Lots of history in that cemetery.